What is the State of the Science? What Do Community Residents Think? What Do Refuge Staff and Partners Think? This study was funded by the U.S. Fish and Wildlife Service (Service). It was designed and conducted collaboratively with representatives from the Service, researchers from North Carolina State University (NC State), and researchers from the U.S. Geological Survey (USGS) Social and Economic Analysis (SEA) Branch. The authors would like to express their gratitude to the following individuals for their various contributions to the project: from the Service, Keenan Adams and Brad Milley; from NC State, Karly Meszaros; from USGS, Rudy Schuster and Earlene Swann; and others who provided valuable feedback in their review of this report, Milton Fearn (NC State), Edwin Gomez (Old Dominion University), and Cassandra Johnson Gaither (USDA Forest Service). This effort would not have been possible without the support and dedication of the refuge staff at the seven refuges where community workshops were held. We also want to thank all the refuge staff, refuge volunteers, and partners who participated in interviews for this project. Finally, we thank all the community members who donated their time and shared valuable insights to help the Service better understand the factors that facilitate and inhibit opportunities for urban residents to find, appreciate, and care for nature. The Urban Wildlife Conservation Program (Urban Program) of the U.S. Fish and Wildlife Service (Service) was established to create a connected conservation community by providing inspiration and opportunities for urban residents to find, appreciate, and care for nature in their cities and beyond. An underlying need for the Urban Program is to better understand the factors that facilitate or inhibit enjoyment and care of wildlife and nature by diverse urban residents. To address this need, the Human Dimensions Branch of the U.S. Fish and Wildlife Service collaborated with U.S. Geological Survey and North Carolina State University on a research project aimed at understanding urban audiences, identifying barriers to engagement in wildlife-dependent recreation, and identifying strategies that the Service can implement to overcome these barriers. The research consisted of: (1) reviewing and synthesizing literature to better understand known barriers, motivations, and strategies for engaging urban audiences in outdoor recreation; (2) conducting workshops to gain feedback from community representatives about community members’ needs and motivations for participation in outdoor recreation, perceived barriers, and strategies to better engage diverse urban residents in outdoor and wildlife-dependent recreation on refuges; and (3) interviewing refuge staff and partner organization representatives in urban areas to understand perceptions of refuge visitation, identify successful and unsuccessful engagement programs and strategies, and identify institutional factors that affect the Service’s ability to connect with urban audiences. Findings from the literature synthesis showed lower participation rates in outdoor recreation among racial and ethnic minority groups. Some studies found similar rates of participation in wildlife-dependent recreation (e.g., fishing) across racial and ethnic groups. Minority groups, however, were less likely to participate in outdoor activities such as camping and hiking. Studies also found similarities in activity participation at day-use areas among different racial and ethnic groups. Differences were observed in time spent at recreation areas, size of recreation groups, and preferences for site attributes. In general, management recommendations found in the literature focused on using what is known about minority groups’ and urban populations’ preferences to attract them to recreation activities and areas. The most frequent recommendation was to develop desirable facilities and amenities (e.g., shore-based fishing facilities, picnic tables for large groups, and clean and safe restrooms). There was also an emphasis on the need for tailored outreach and communication for specific population subgroups. Numerous knowledge gaps, such as data on evaluation of programs to increase visitor diversity, were identified in the literature with regard to understanding urban and ethnically/racially diverse populations’ participation in wildlife-dependent recreation. In addition, longitudinal studies are needed to document changes in perceived constraints, activity patterns, setting preferences, and other topics not addressed in surveys conducted by the Service. This will become increasingly important for documenting how participation in outdoor recreation changes over time as demographic trends unfold. We conducted community workshops in seven urban areas across the country. Participants included individuals from more than 80 different organizations, including local parks and recreation agencies, community development organizations, faith-based organizations, education and childcare providers, wetland preservation groups, YMCAs, local radio and television stations, Boy Scouts, Girl Scouts, Boys and Girls Clubs, Friends of the Refuge, youth service and volunteer groups, and others. Workshop participants identified many outdoor activities that people in the community participate in and the reasons why being outdoors is important to them. They also shared barriers to participating in outdoor recreation, and more specifically, recreation at refuges. Some were cultural barriers, such as a lack of connection to nature, a lack of cultural confidence, feelings of otherness, and negative associations with the outdoors that are rooted in a history of racial and class-based exclusion. Other barriers were practical in nature. For example, an individual may want to participate in outdoor recreation, but they may lack any of the following: awareness of recreation opportunities, financial means, leisure time, and transportation to get to outdoor areas. The workshops generated suggestions to conduct targeted marketing efforts in specific communities based on their preferred media and information networks, such as community newspapers and schools. Utilizing partnerships was a highly recommended strategy, and chief among the suggested partners were local schools. Participants also suggested that the Service provide a more welcoming environment for visitors. Suggestions included providing additional entrances and more welcoming signage in multiple languages, as well as removing fencing or making entrances more aesthetically pleasing. More structured programs, activities, and special events were suggested to raise awareness about refuges. Participants also recommended increasing the diversity and cultural sensitivity of refuge staff and volunteers. We conducted interviews with refuge staff and partners to better understand the current state of engagement with urban audiences and the institutional factors that impact the agencies’ efforts to connect with diverse constituents. Interviewees indicated that urban refuges are not serving the diversity of residents in their communities. Participants’ characterizations of visitors to their refuge were consistent with the results of the national wildlife refuge visitor survey, which showed that 96 percent of visitors are white, are an average age of 56, and have a higher median household income ($75,000 to $99,000) than the national average. Many participants articulated how certain practices and policies within the Service do not effectively engage diverse urban audiences. These included the lack of marketing by the Service and refuges, the focus of on “wildlife first” (i.e., habitat and wildlife protection before visitor services) within the Service, agency policies and guidance limiting what recreation opportunities are offered, management priorities, resistance to change, and others. Overall, specific strategies to connect with urban residents identified by staff and partners were limited, but many had ideas about what was needed to successfully meet the goals of the Urban Program. Policy and leadership support to try new things and prioritize outreach were highlighted, as well as the need to be more involved with the urban community and build relationships with community members. This study provides guidance to the Service, partner organizations, and other recreation providers on how to respond to barriers and desires related to outdoor recreation and conservation activities in an increasingly urban and diverse society. The urban communities represented in this report reflect the breadth of racial, ethnic, gender, and age diversity that exists throughout the United States. Yet, the overall population will continue to diversify if current demographic trends continue. Attention to the barriers and preferences for outdoor recreation outlined in this report will help the Service meet its ultimate goal of ensuring that communities across America are better connected to the conservation community. 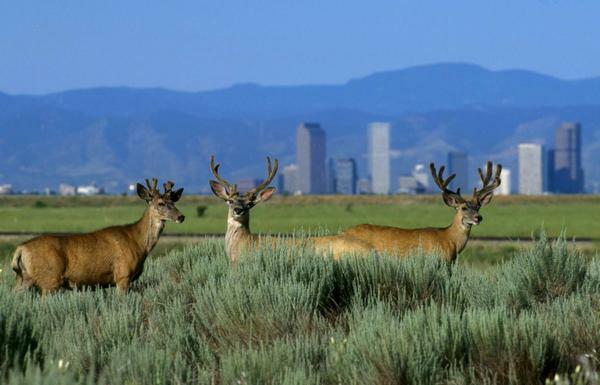 Deer at Rocky Mountain Arsenal NWR with the Denver skyline. Natural resource agencies face complex challenges related to human activities such as habitat destruction and degradation, anthropogenic climate change, natural resource exploitation, and exotic species introductions. These environmental problems significantly impact biodiversity and ecosystem health and in turn pose a significant threat to human health and wellbeing. At the same time, scholars suggest that there is a narrowing base of public support for conservation (Nordhaus and Shellenberger, 2007; Pike, Herr, Minkow, and Weiner, 2008). American voters who consider the environment a top priority are primarily European-American, college educated, higher income, and over the age of 35 (Pike et al., 2008). These demographics are increasingly unrepresentative of the overall American public. This presents a significant challenge to engaging public support in natural resource management at a critical time. Over the past several decades, the US population has become more racially and ethnically diverse and is projected to continue to diversify in future decades. According to U.S. Census Bureau projections, no single racial or ethnic group will constitute a majority of the US population by the year 2043; 54 percent of the population will be either Hispanic (30 percent), African American (12 percent), or Asian and other racial and ethnic groups (about 12 percent) (US Census Bureau, 2012). The US population is also increasingly urban, with 84 percent of Americans living in urban areas as of 2009 (Berube et al., 2010). Non-white populations live in urban areas to an even greater extent than the overall population. In 2008, the 100 largest metro areas contained 66 percent of the total US population, of which 77 percent were non-white, including Hispanic Americans (Berube et al., 2010). Given the state of biodiversity and ecosystem health, current levels of support for conservation, and demographic changes in the US, it is crucial for conservation agencies and organizations to engage new and diverse constituents, particularly in urban areas where the majority of people reside. Conservation efforts need broad public support, and the public must be encouraged to adopt pro-environmental behaviors in order to improve current conditions. Studies investigating the determinants of support for conservation and pro-environmental behaviors have identified nature-based experiences as an important factor (e.g., Bixler, Floyd, and Hammitt, 2002; Chawla, 1999; Ewert, Place, and Sibthorp, 2005; Wells and Lekies, 2006; Zaradic, Pergams, and Kareiva, 2009). At the same time, research also suggests that children are spending less time outdoors because their access to nature is becoming scarce (e.g., Karsten and van Vliet, 2006; Louv, 2008; Spencer and Woolley, 2000). The National Wildlife Refuge System (Refuge System) of the US Fish and Wildlife Service (Service) is the leading network of protected lands and waters dedicated to wildlife conservation in the world and has a long history of connecting people with nature. With over 560 refuges and 38 wetland management districts, there is at least one refuge in every state and territory and within an hour’s drive of most major metropolitan areas (US Fish and Wildlife Service, 2013). Refuges host more than 47 million visitors each year who primarily observe and photograph wildlife and birds, fish, and hike (Sexton et al., 2012). Yet, visitors to refuges are predominantly US citizens with above-average income and education and are overwhelmingly non-Hispanic (96 percent) and white (96 percent) (Sexton et al., 2012). Demographic changes have posed some challenging and complex questions for the Refuge System. How do the 80 percent of Americans living in cities connect to the wild places that refuges protect? How can refuge practitioners teach a new generation to love the land when pavement is what they usually see? How can the Refuge System help children find inspiration in nature all around them when they spend so much time indoors and “plugged in?" An understanding of urban and minority populations’ recreation preferences and desired experiences is necessary for agencies that wish to attract and effectively meet the needs of the nations’ changing and diverse public. In the summer of 2010, the Service began creating an updated vision for the future of the Refuge System. More than 100 people from across the Service worked together to craft Conserving the Future: Wildlife Refuges and the Next Generation (US Fish and Wildlife Service, 2011). The document laid out an ambitious plan for the next decade that addressed opportunities and challenges in the face of a changing America and conservation landscape. To implement the new vision, nine teams consisting of Service employees were created, including the Urban Wildlife Refuge Initiative team. The Initiative aimed to increase the Service’s relevance to urban citizens and contribute to the vision’s goal of diversifying and expanding the Service’s conservation constituency over the next decade. The Initiative developed into the Service’s Urban Wildlife Conservation Program (Urban Program) with the goal of creating a connected conservation community by providing inspiration and opportunities for urban residents to find, appreciate, and care for nature in their cities and beyond. The future success of conservation in America ultimately depends on the ability to inspire citizens to connect with the outdoors and nature and to become stewards of the environment. In this publication we present results of research to inform the Service’s approach to growing a community that values conservation in urban areas through the Urban Wildlife Conservation Program. interviews with refuge staff and representatives from partner organizations in urban areas to understand current perceptions of refuge visitation, identify successful and unsuccessful engagement programs and strategies, and identify institutional factors that promote or impede the ability to connect with urban audiences. We have organized the publication around these three areas of inquiry, beginning with a brief overview of the review and synthesis of the literature, followed by the methods and results of the community workshops, the methods and results of the interviews with refuge staff and partners, and lastly, a synthesis and discussion of the findings from all of the research components. Although there is a substantial amount of research exploring race and ethnicity in relation to outdoor/nature-based recreation, there is limited research that looks specifically at wildlife-dependent recreation (Floyd, Bocarro, and Thompson, 2008). We conducted a systematic review and synthesis of the research pertaining to race, ethnicity, urban populations, and wildlife-dependent recreation to identify trends in research and knowledge gaps. Our goal for the literature review was to explore and characterize research themes (i.e., main focus of the research), methods used, and recommendations made. A full report of the literature synthesis, Race, Ethnicity, Urban Populations, and Wildlife-dependent Recreation: A Review and Synthesis of the Literature (Thompson and Floyd, 2015) is also available. The publication examined wildlife-dependent recreation, defined as hunting, fishing, wildlife watching, or wildlife photography. Wildlife-dependent recreation did not have to be the central focus of the publication, but it had to be explicitly included in the study in some form. The publication included examinations of racial and ethnic minority groups, urban populations, or both. This included studies that compared racial or ethnic groups, studies that examined a single racial or ethnic group, studies that compared urban and rural populations, or studies that focused only on urban populations. The publication reported the results of an empirical analysis. The study was published within the last 15 years (1999 to 2014). The publication was a peer-reviewed journal article, book chapter, conference proceeding, or conference abstract. Each publication was characterized based on various descriptive variables including the type of wildlife-dependent recreation examined, data collection method, study population, and geographic location. A thematic analysis was used to describe and categorize each publication’s main research focus, management recommendations, and recommendations for future research. What is known about motivations, barriers, and potential strategies for engaging diverse urban audiences in wildlife-dependent recreation is based on a relatively small number of studies. Over half of those reviewed did not have an explicit focus on racial or ethnic minority groups. Of the 56 publications, a majority (25 percent) studied the general population (e.g., conducted a statewide survey). Others sampled specific groups, including hunting or fishing license holders (21 percent), individuals participating in outdoor recreation at a specific site (21 percent), and urban residents (9 percent). Most studies used quantitative mail or telephone surveys to gather data. Six major research themes were identified from the thematic analysis. These themes indicate what topics and issues have been studied. A single study could be grouped into more than one thematic category. Rates and patterns of participation in wildlife-dependent recreation was the most frequently studied topic, and fishing was by far the most frequently studied activity; fishing was the main focus in 46 of the 56 publications. Notably, national and statewide surveys showed lower participation rates among racial and ethnic minority groups. Some regional studies found similar rates of participation in wildlife-dependent recreation across groups. Minority groups, however, were less likely to participate in outdoor activities such as camping and hiking. Studies also found similarities in activity participation at day-use areas among different racial and ethnic groups. Observed differences included time spent at recreation areas, size of recreation groups, and preferences for site attributes. For example, Latino visitors to national parks were part of larger groups, made longer visits, and rated restrooms and staff as more important to their visit compared to other visitor groups (Le, 2012). A second research theme was socio-demographic comparisons, including comparisons by race, ethnicity, gender, income, and age. As mentioned, lower outdoor recreation participation rates were observed for racial and ethnic minority groups, and women also participated at lower rates compared to men. Participation decreased as household or individual income level decreased and decreased as age increased. Women from older age groups who were also from a minority group and lower socioeconomic standing were least likely to engage in outdoor recreation and fishing. In contrast, younger white males of higher socioeconomic standing were most likely to engage in outdoor recreation. A third thematic category included studies of motivations and perceived benefits related to wildlife-dependent recreation. Three key observations can be made about this group of studies. First, they show that all groups emphasize “being in nature” as a motivation or perceived benefit. Second, consumption-related motivations and benefits tended to be emphasized more frequently among African American and Latino recreationists, particularly for fishing. Subsistence fishing and hunting was also an important reason for participation among Native Americans and urban residents of different racial and ethnic backgrounds. Third, as shown in the broader outdoor recreation literature, different groups that engage in the same activities do so for different reasons. Knowledge of these variations can be useful in developing strategies to respond to recreational needs of diverse groups. A fourth thematic area of research focused on the urban context and included studies of urban residents and urban-proximate recreation areas. Research within this theme looked at participation in consumptive wildlife-dependent recreation (i.e., hunting and fishing) and attributes of urban parks (e.g., importance of seeing wildlife as a reason for visiting a park and facility preferences). Viewing wildlife at urban parks was important to different racial and ethnic groups. Social interaction was identified as an important motivation for visiting urban parks, and African American, Latino, and urban residents tended to rate developed facilities (e.g., picnic areas, playgrounds) as preferred park attributes. Studies investigating participation barriers and constraints in outdoor recreation make up the fifth thematic category. As found in the broader literature on recreation participation, lack of time was the most frequently cited barrier to participation. Work and other family obligations are common barriers to recreation participation. For racial and ethnic minority groups, additional barriers included lack of awareness of recreation opportunities, lack of transportation, and financial constraints associated with transportation and entry fees for some sites. All three barriers were significant for lower income households or individuals. The final thematic area was risk management, which included studies investigating urban anglers’ awareness of advisory warnings for fish consumption, their perceptions of the risk, and their consumption behavior. These studies found low-income individuals, African Americans, Latinos, Asians, and older age groups were less likely to be aware of advisories and more likely to be exposed to environmental contaminants through fish consumption than others. The discussion sections of each of the 56 publications were analyzed to identify management recommendations that have been suggested in the literature (Table 1). Some of the more frequent recommendations are described here. In general, management recommendations focused on using what is known about the preferences of minority groups and urban populations to attract them to recreation activities and areas. 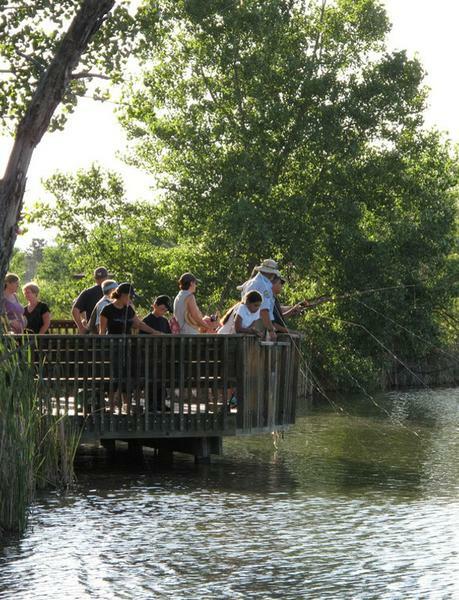 The most frequent recommendation was to develop facilities and amenities that support urban fishing and urban recreation experiences (e.g., fishing platforms, picnic tables and restrooms). Where desirable facilities already exist, it was recommended they be promoted and made available for use by community groups (e.g., religious groups, social clubs). Studies have shown that African American and Latino populations place more emphasis on socializing during leisure experiences and use parks in larger groups than other user groups (Gobster, 2002; Shaull and Gramann, 1998). Several studies mentioned accommodating and providing facilities and programs for families and larger groups to recreate together. The need for tailored outreach and communication for specific population subgroups was also emphasized. Partnering with other agencies and organizations was frequently suggested. Specific partners mentioned included schools, non-profit organizations, and other community groups. This recommendation was seen as a way to capitalize on the strong connections some community organizations have with local ethnic groups, particularly when recreation area/land management agencies do not have these connections. Table 1. Management recommendations from the literature. *Papers could contain more than one recommendation; sum of N>56. Numerous knowledge gaps were identified in the literature with regard to understanding urban and ethnically/racially diverse populations’ participation in wildlife-dependent recreation. Several publications suggested areas where additional research is needed. Longitudinal studies were identified as increasingly important for documenting how participation in outdoor recreation is changing over time as demographic trends unfold. Targeted studies of specific minority racial or ethnic groups were recommended to increase understanding of preferences and participation patterns. General population studies may not capture these perspectives as the participation rates among racial/ethnic minority groups, especially Latino populations, are often very low. Studies to evaluate the effectiveness of strategies for encouraging greater participation in wildlife-dependent recreation were recommended. More studies at varied geographic locations and geographic scales were called for to determine how management strategies should be tailored for specific geographic contexts. Lastly, qualitative methods, such as in-depth interviews and focus groups, were recommended to generate new perspectives and understanding that standardized survey questions may not uncover (Santucci, Floyd, Bocarro, and Henderson, 2014). Qualitative methods were particularly suggested for use with racial and ethnic groups because such methods can be used to address sensitive issues, such as discrimination, that may be difficult to investigate thoroughly using quantitative methods (Gobster, 2002). Fishing remains a popular activity among urban populations. To connect urban audiences to wildlife and nature, it is important to understand their perceptions of outdoor recreation; the barriers to outdoor recreation they may face; and strategies that may lead to greater involvement in outdoor recreation. We conducted community workshops in seven locations across the country to gather this information. The workshops brought together interested citizens, school administrators, and representatives of organizations involved in providing recreation and environmental education in urban communities. This information complements other components of this research by providing insight into how the perspectives of community members across these seven areas align with findings from the literature and with the perspectives of refuge staff and partners. We conducted workshops at seven urban refuges in the Refuge System (Table 2). Six of the refuges were selected based on input from key contacts from the Refuge System, the Urban Program team, and other Service employees. Potomac River Refuge Complex was later added to the project because the research coincided with an immediate management need and funding became available after the project start date. An urban refuge has a population of 250,000 or more within a 25-mile radius. The U.S. Fish and Wildlife Service's Urban National Wildlife Refuges map shows all urban wildlife refuges. Table 2. National Wildlife Refuges and neighboring communities selected for community workshops. Refuge staff at the respective locations identified potential workshop participants. Staff provided a list of individuals and organizations involved in outdoor recreation, conservation, environmental education, or other community-based activities (e.g., schools and faith-based organizations) that work within the communities near their refuge. Those initially identified were asked to recommend others involved in similar organizations or recognized as leaders in the community. In addition, the research team conducted Internet searches to find other organizations in the urban area. The workshops were conducted using focus group methodology (Morgan, 1996). Focus groups are facilitated discussions around particular topics. Participants interact and share experiences that provide insights into attitudes, behaviors, and motivations related to a topic, and the extent of consensus and diversity within the group (Morgan, 1998). A set of guiding questions and prompts was used to direct the discussions. The resulting conversations reflected what was important and relevant to the workshop participants. Two workshops were held at each of the seven refuges between September 2013 and April 2014. Workshops were organized and facilitated by researchers from USGS or NC State. A common procedure (Krueger and Casey, 2009) was used in each location: (1) refuge staff and workshop facilitators welcomed the participants, (2) an overview of the Urban Program was provided, (3) an overview of the purpose and ground rules for the workshop were provided, and (4) the facilitators began asking questions to initiate discussion. Refuge staff members welcomed participants but were not present during the discussions. They returned when discussions concluded to answer questions. What motivates people in this community to participate in outdoor recreation? What barriers prevent greater access or enjoyment of outdoor recreation opportunities by people in this community? What can be done to promote greater participation in outdoor recreation and use of the refuge by people in your community? During the workshops, brief written notes were recorded on flipcharts and near verbatim notes were taken on a laptop. Audiovisual recording devices were not used. Participants could view the flipchart notes throughout the discussion and were asked to ensure key points were being accurately captured. Before moving from one topic to the next, participants were prompted to review, clarify, and fill in any information they felt might be missing. After the discussion, participants were asked to mark the three most significant barriers to participation in outdoor recreation on the flipchart notes and indicate the three most important strategies that the Service could implement to reduce those barriers. Participants were not asked to prioritize their selections (i.e., rank them from highest to lowest priority), but they could place all three markers next to one item if they chose. Flipchart notes, laptop notes, and counts of the most significant barriers and strategies comprise the data for this study. Thematic analysis was used to identify salient topics emphasized by the participants in each workshop. These themes were often identified from the flipchart notes and further informed by the detailed laptop notes. Data from each location was compared to find patterns and reveal differences between refuges. The results of the analysis are presented below. Anonymous comments from participants have been provided where appropriate. These comments do not represent verbatim quotations as no recording devices were used; however, they accurately represent the meaning and context of the speaker’s statements. Workshop participants included individuals from more than 80 different organizations including local parks and recreation agencies, community development organizations, faith-based organizations, education and childcare providers, wetland preservation groups, YMCAs, local radio and television stations, Boy Scouts, Girl Scouts, Boys and Girls Clubs, Friends of the Refuge, youth service and volunteer groups, and others. No demographic data or personal information about participants was collected. In general, many participants were familiar with the local refuge because of existing partnerships or volunteer work. Other participants had little or no familiarity with the refuge, and some were visiting for the first time. Those with greater familiarity tended to focus more on refuge-specific issues than general trends in outdoor recreation. In some cases, significant parts of the discussion focused on refuge features (e.g., a trail or entrance). A summary of the key themes that emerged from the discussions at the refuge workshops is presented below, organized around the four guiding questions. Individual reports for each refuge can be accessed at the Urban Wildlife Conservation Program website. When participants discussed what outdoor recreation meant to their community, many described connections to physical, mental, and spiritual well-being. In addition, specific activities were mentioned along with the importance ascribed to them. Aside from just describing activities, there was some discussion about outdoor recreation being viewed as a luxury (e.g., a vacation for which a family must save up money and have the time to take) rather than something that is a part of everyday life. The specific types of activities described by participants are summarized below. Participants described activities commonly associated with outdoor recreation including walking, running, and hiking on and off trails; fishing, hunting, and observing birds and other wildlife; mountain, road, and commuter bicycling; swimming; camping and backpacking; motorized and non-motorized boating; motorized recreation on ATVs and motorcycles; horseback riding; archery; and geocaching. Walking outdoors was often indicated as the most common activity for community residents of all demographic groups in many of the workshops. Participants mentioned sports such as basketball, soccer, tennis, baseball, softball, golf, lacrosse, Frisbee golf, and volleyball as forms of outdoor recreation that are common in their local communities. These were repeatedly referred to as more formal, organized, or structured (e.g., youth sports) activities. Soccer was mentioned as particularly important to many residents in multiple workshops. Engaging in unstructured outdoor activities was important to many local families. Participants gave numerous examples of such activities including just being in nature, being in the sun, exercising outdoors, self-discovery, discovering things in nature, engaging your imagination, free play for children, throwing or skipping rocks, being in unconfined spaces, and having fun. Just spending time outdoors was viewed as very important. Participants mentioned that some community members liked to participate in artistic or creative activities while outdoors like painting, drawing, taking outdoor art classes, and nature journaling and writing. Discussions also included activities and facilities that provide opportunities for families, friends, and community members to meet and socialize, such as playgrounds and many urban parks. Going to the park with extended family members was described as a particularly important activity for many minority racial and ethnic groups. Activities like singing, dancing, outdoor concerts, and outdoor movies were mentioned, as well as significant cultural traditions, such as Native American powwows, that take place in the outdoors. According to the participants, food featured prominently in outdoor activities for many families from diverse backgrounds. These activities included picnics and barbeques, home or community gardening, going to farmers’ markets, and foraging for edible plants such as mushrooms. Such activities often include opportunities for friends and family to socialize. At Tualatin River Refuge, participants indicated that picnics are often elaborate full-day events and are especially important to Latino and Russian families. Some outdoor activities discussed in the workshops included elements of practice or training. These types of activities included yoga, tai chi, meditation, fitness classes, and self-defense classes. Workshop participants indicated that community members were also involved in outdoor activities that were perceived as beneficial to others or the environment. Planting trees, building trails, walking for a cause, cleaning beaches, restoring habitats, and volunteering for programs that serve the needs of youth or veterans were viewed as forms of outdoor recreation among members of their communities. Activities associated with learning new skills, environmental education, and science-based education for students were described as outdoor activities. Specific descriptions included developing skills or learning about how river currents affect fishing (i.e., “reading” the water), river health, fly fishing, water-quality monitoring, biological monitoring, entomology, landscaping to attract wildlife species (e.g., planning butterfly gardens), and natural resource career options. Learning more about the culture and history of sites was also important to some local residents, particularly at Rocky Mountain Arsenal Refuge. Workshop participants identified many reasons why being outdoors was important to them and to residents of their communities (Figure 5). The themes that emerged from the analysis are described below. The opportunity to escape and relax plays an important role in motivating people to get outdoors. Participants described the outdoors as a place to get away from the urban environment, the “chaos of city life,” and one’s day-to-day routine. People want to relax, experience peace and quiet, slow down, and clear their minds, according to workshop participants. Some participants observed that people take the opportunity to disengage from technology, turning off their cell phones and other devices, to experience solitude. A primary benefit associated with being outdoors was relieving stress, especially for people with demanding and stressful jobs or life circumstances. The motivation to maintain or improve physical health and mental well-being was often discussed in the workshops. Just spending time outside was considered to be an important part of a healthy lifestyle, and further physical health benefits from exercising outdoors were seen as a primary motivator for urban residents. Participants cited specific reasons for exercising outdoors: enjoying the aesthetic setting, getting fresh air and sunshine, and protecting one’s joints by running on trails. Nature was also described as a place where the mind and spirit can be healed. For example, outdoor recreation was described in one discussion as a means to help returning war veterans cope with post-traumatic stress disorder (PTSD). Similarly, recreation in nature was discussed as a way to help youth cope with difficult life circumstances (e.g., poverty, crime, gang involvement). Community residents in all of the workshops identified spending quality time with family and friends as an important part of life. Participation in outdoor activities was described as a more meaningful way to bond with family and friends than day-to-day activities like chauffeuring children to various activities, watching children play organized youth sports, or watching television together. Experiences in the outdoors were viewed as allowing for more engagement and unity among family members, and motivated by the desire to share memories across generations and create new memories. Outside of family, the desire for social interactions with people perceived as similar to oneself was viewed as a motivation for some. Participants discussed how some people are motivated by the desire to maintain cultural heritage. Traditional activities like Native American powwows, hunting and fishing, and cultural traditions of immigrant populations were given as examples. Another topic discussed during a workshop at Tualatin River Refuge was the motivation for immigrants to begin new traditions that were not possible in their home countries. A participant described how in their native country they did not have access to outdoor recreation areas and it was not a part of the culture. Some participants believed the motivation for certain types of outdoor activities stemmed from a desire to contribute to the greater collective good. Some may be motivated to connect to and improve their community and may participate in efforts to beautify the neighborhood, restore a neglected park, or participate in organized tree plantings. Other motivations discussed related to the desire to protect environmental resources such as clean water and clean air. Community service related to outdoor recreation was also seen as a way to have a positive impact on children in urban communities and to address environmental and social justice issues. Participants highly valued opportunities to connect with nature and described them as an inherent human need that translates to motivation to be outside and in natural settings. Participants indicated that there were specific things urban residents may be motivated to connect to or observe, such as flowers, beautiful scenery, and wildlife in natural habitats. Participants discussed the educational value of being in nature and the structured and unstructured opportunities for teaching youth in the outdoors. The outdoors was described as a powerful place to learn because it provides hands-on ways to connect to the world (e.g., catching and cleaning fish that you can then eat). Furthermore, it is as an optimal place for children to learn about the natural environment, learn leadership and social skills (e.g., how to resolve conflicts), and take “managed risks” (e.g., taking the proper precautions and having the right skills when participating in a potentially risky activity, like fly fishing in a river or hiking) (Figure 6). Education was also seen as a motivating factor for adults. Participation in photography, art, and other creative activities and hobbies in outdoor environments was discussed as a way for adults to sharpen cognitive faculties and remain engaged in community life. The potential for the interest of children to motivate parents was frequently discussed. Participants discussed how satisfying experiences in outdoor settings during school field trips or other programs may result in children encouraging their parents to take them back to the sites. Experiences that awaken and thrill the senses were also discussed. Excitement, surprise, adventure, discovery, freedom, engaging one’s imagination, and sheer fun were given as reasons for engaging in outdoor recreation. The unpredictability of nature, while at times a barrier, can also be something fun and exciting that people seek in the outdoors. People’s curiosity also leads them to want to discover new places they haven’t visited and to experience something new. This was discussed specifically as a benefit to youth visiting a natural setting for the first time. Participants believed that emotional components of outdoor experiences, especially transformative experiences, inspire passion for the outdoors and lead to a deep personal connection with nature. A desire to feel spiritually connected was described as a motivation for people to be in nature. Participants indicated that spirituality in this sense had many important yet different components. For example, people may be motivated to participate in outdoor recreation to experience balance within nature, their own connections to nature, or the connections of the body with the mind. Outdoor spaces can also be considered sacred, allowing people to be in touch with their own ideas of spirituality. Sometimes the reason urban residents engage in outdoor activities is out of necessity. Participants mentioned bicycling or walking as a means of transportation and activities to provide sustenance for oneself or one’s family, such as hunting and fishing, foraging for edible plants, and gardening. The third discussion question during the workshops focused on barriers that prevent greater access or enjoyment of outdoor recreation opportunities by people in the urban community. This section summarizes the themes emerging from those discussions. While many of the barriers described relate to participation in outdoor recreation generally, participants also identified barriers specific to the refuge(s) in the urban area (Table 3). Table 3. Barriers to Recreation in the outdoors and at refuges. Residents’ lack of connection to nature was discussed in every workshop as a fundamental barrier to participation in outdoor recreation. Reasons included being surrounded by “concrete and constructed” environments; the distraction of technology and electronics, particularly for children who may spend the majority of their time indoors in front of a screen; and a lack of interest in or exposure to nature that stems from cultural or socioeconomic factors. Some participants believed that the “disconnect” from the natural world transcends race, ethnicity, and socioeconomic status. Others believed it transcends race and ethnicity, but not socioeconomic status. That is, more affluent families have the means (leisure time and money) to recreate and connect with nature while low-income individuals and households do not. The majority of participants believed that some subgroups have stronger connections with nature because of cultural traditions, and these connections are passed on across generations through family socialization and one’s cultural background. Participants described outdoor recreation as scary or unapproachable for some urban residents. If people are not familiar with being outdoors they may fear the unknown or be reluctant to try something new. People also may have more specific fears about the outdoors and what they might encounter, including unpredictable weather or natural events, unfamiliar sounds of nature in comparison to sounds common in the city, and the possibility of getting lost. Fear of encountering wildlife such as snakes, ticks, spiders, mountain lions, and bears was also discussed. In some cases, participants described fear of wild animals that were not present in the area. There were also fears about being harmed by other people in parks and open spaces, especially areas that have a reputation for criminal activity. This was a particular concern for parents, and one that may prevent them from allowing children to play outdoors. Some urban residents perceive the outdoors as a dirty and uncomfortable place. Weather and climate were mentioned as deterrents: for example, Oregon’s cold and rainy climate and the extreme winter weather in Minnesota are added challenges for getting people outdoors in those locations. Overall, the outdoors may seem like an unsafe and unpleasant place to be, especially for families with young children. At a few refuges, participants shared stories of the negative stigma some community members associate with the outdoors. For some, the woods and more remote natural areas are associated with the violent hate crimes that were historically committed against minorities in such settings, particularly African Americans. Others described the stigma of outdoor work or activities like gardening as being degrading or lower-class endeavors. Camping, for example, was described as something poor families have to do out of necessity, whereas respectable families are able to afford hotels. At Tualatin River Refuge, a participant mentioned that her husband did not want his nieces gardening because it would indicate that the patriarch could not adequately provide for his family. Another barrier to participating in outdoor recreation was the sense of otherness (i.e., feeling different or unusual) experienced in settings that are dominated by white people. A general lack of diversity among recreationists, staff, and volunteers at many recreation sites, and specifically at refuges, was believed to make non-white members of the urban community feel different and as though they don’t belong. According to participants, non-white groups may be concerned that others will perceive them as outsiders, as threatening, or possibly treat them differently or discriminate against them. Participants also felt that urban residents might experience feelings of otherness if they don’t have similar clothing, gear, and accessories as other recreationists. In one of the workshops the discussion turned to “cultural confidence.” Participants described how white people in the United States have a cultural confidence and are comfortable in new and unfamiliar situations. Minority groups, on the other hand, are often uncomfortable in any unfamiliar situation, in unfamiliar places, doing unfamiliar activities, or around unfamiliar people, because of experienced discrimination. Overcoming these kinds of systemic cultural barriers was described as a particularly formidable challenge for refuges and other recreation providers. Some participants felt that the lack of communication in languages other than English contributes to feelings of not belonging on public lands. Demographic data indicate that the majority of individuals in the United States with limited English proficiency live in urban areas (Zong and Batalova, 2015). However, participants pointed out that programs at many urban outdoor recreation areas, including refuges, are only offered in English. The same is true of printed materials publicizing these programs and areas. Others noted that signage and informational materials specifically about refuges are in English only and that may be a reason why people whose first language is not English are not aware of refuges, refuge rules, or interpretive information on the refuge. Also, most staff at refuges and other recreation areas are not bilingual. Discussions about transportation barriers focused mainly on getting to refuges. For most refuges where workshops took place, participants felt a personal vehicle was required to visit. Nearby public transportation options were either non-existent or not convenient because of schedules, stop locations, or length of the trip. Safe and convenient options to walk or bike to the refuge were also viewed as lacking. Traffic in the urban area was described as a barrier for those with personal transportation. Participants indicated that the cost of certain outdoor recreation activities and programs can prohibit people from participating or maintaining participation over time. Even basic items such as proper clothing, shoes, and sunscreen can be cost-prohibitive. Some activities, such as hunting and fishing, require additional gear, equipment, and special permits and licenses. Cumulatively, these costs may be completely out of reach financially for some residents. Fees to enter certain parks and natural areas were also discussed as a barrier because residents may be unable or unwilling to pay. The amount of leisure-time available to urban residents was discussed as another barrier to outdoor recreation. Lack of time overlapped with the topic of financial barriers and was discussed particularly for low-income households where both parents, or a single parent, may be working many hours to make ends meet. In these cases, children may not have adult supervision or the means of getting to a natural area. Additionally, some residents may be less likely to focus on getting outdoors because they are more concerned with paying bills and feeding their families. Participants in every workshop highlighted the importance of connecting to youth through schools. One major obstacle discussed was state education standards and mandates for standardized testing. The mandates impose limits on covered subject matter and the amount of class time teachers can spend on activities like field trips. Participants also discussed how teachers, like parents, may be uncomfortable in the outdoors and this may keep them from taking their students to a place like a refuge, especially if refuge staff are not available to provide programming. Financial resources were one of the largest barriers preventing school groups from visiting natural areas, particularly because of high transportation costs. Many workshop participants stated that urban residents do not participate in outdoor recreation at local refuges because they are not aware they exist. This was even thought to be true among some long-term residents and residents living very near a refuge. In addition, some believed that even those who are aware of the refuge(s) have misperceptions of, or are not aware of, recreation opportunities. Participants themselves were not always aware of what the refuge had to offer. They pointed out that “wildlife refuge” may indicate to residents that people are not allowed, or they may think that they cannot engage in certain activities, such as exercising, picnicking, or dog walking, on a refuge. The topic of awareness was also discussed in relation to outdoor recreation opportunities in general. Points included a lack of awareness of where to go to recreate outdoors and lack of knowledge about public land access in the United States, particularly among recent immigrants. Participants described lack of diversity among refuge staff as a barrier, stating that it could indicate to residents that certain ethnic groups are not welcome or are not typical visitors to the site. Cultural competency among leaders and professionals in the outdoor recreation field was also viewed as lacking. Participants believed that even those who mean well do not always interact effectively with people of different cultures and socioeconomic backgrounds. Participants felt that programming and facilities at refuges do not meet the needs of some residents from nearby communities. These comments most often focused on the lack of programs offered overall, lack of family-oriented programs, and programs not being offered at convenient times, especially for parents with full-time jobs, multiple jobs, and those who work weekends. A lack of picnic tables, developed trail systems, kiosks/signs, and campsites were some facilities mentioned. Participants indicated that limitations or perceived limitations on certain activities at refuges deter potential visitors. Examples of restricted activities included picnicking, jogging, bicycling, dog walking, and camping. At Tualatin River Refuge, participants mentioned the prevalence of signs indicating prohibitions or restrictions around the refuge and how that can be off-putting. The mission of the Service was also mentioned as an organizational barrier because wildlife protection is a greater priority than the enjoyment of visitors. In addition to the lack of diversity and cultural competency among staff, participants described other reasons that some community residents do not feel welcome at refuges. At Rocky Mountain Arsenal Refuge, the presence and look of the fence surrounding the refuge and the closure of a previously opened gate that provided refuge access to a primarily non-white community were discussion points. The fact that refuge staff wear uniforms was also seen as making the environment feel unwelcoming and intimidating because some groups may fear authority figures or believe that they will be harassed by them. 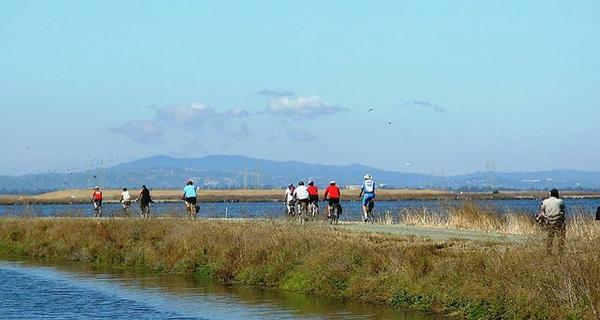 At John Heinz, San Francisco Bay, and Rocky Mountain Arsenal refuges, participants described the perceived attractiveness or safety of the refuge as compromised by past and current land uses. Some indicated that these perceptions were significant reasons why local residents do not visit the refuge. Many of the barriers participants identified have complex origins that extend beyond interactions with refuges. Cultural barriers, such as a lack of connection to nature, a lack of cultural confidence, feelings of otherness, concerns for comfort, and negative associations with the outdoors, are rooted in a history of racial and class-based exclusion. In some ways, discrimination from the past still affects recreation preferences among racial and ethnic minority communities today. These kinds of barriers can prevent preferences for outdoor recreation from forming in the first place. It is difficult for people to learn to like an activity if they have never been introduced to it. Other barriers are more practical and intervene between preferences and participation. For example, an individual may want to participate in outdoor recreation, but they may lack awareness of the refuge’s existence or the opportunities for recreation it can provide. Even for those who are aware, workshop participants described how barriers such as lack of finances, lack of time, and lack of transportation prevent residents from acting on their preferences. Finally, people who are able to navigate these barriers and have a desire to participate in outdoor recreation may not engage due to an unwelcoming physical appearance, an unwelcoming social environment, a lack of facilities and programming that support their preference, or language barriers. Some of these barriers have more readily identifiable solutions than others. For example, translating signs into multiple languages and utilizing promotional materials depicting diverse populations may be easier to accomplish than developing programs to engage people from multiple ethnic groups and different age groups who have little exposure to refuges. However, even some easily identifiable solutions may be difficult to implement because of a lack of funding (e.g., hiring additional staff for outreach). In addition, they may not achieve the highest rates of engagement if other barriers are not concurrently addressed. At the conclusion of the barriers discussion, participants were eager to identify solutions. They offered many solutions that refuge managers and other outdoor recreation providers could implement. Participants recognized that one benefit of natural areas and refuges in urban areas is their location: they are more accessible and may be less intimidating for those with limited experience with recreating outdoors. There was discussion about how urban refuges provide a transition zone between the city and more remote natural areas, because in some cases the city is still visible in the background and cell phone service is still available. Another positive feature of many outdoor recreation activities, particularly those close to home, is that they are inexpensive or free. However, given the barriers described in the previous section, location and affordability may not be enough to encourage urban residents to get outdoors. Targeted strategies are needed to encourage greater use of refuges and increase connections with local communities. The importance of partnerships was the most heavily emphasized theme throughout all of the community workshops. Workshop participants recommended that refuges increase their efforts to identify partners within local communities that can help refuge staff connect with local residents. Partnerships were also viewed as a crucial way to leverage limited resources. Suggested partners included park and recreation agencies, faith-based organizations, YMCAs, schools, non-governmental organizations, and local government agencies. Partnering with universities to create internship positions at refuges was suggested as a way to increase staff and potentially broaden staff diversity. Participants also recommended that refuge staff make contacts with trusted key community members who can endorse refuge programs. These partnerships were viewed as mutually beneficial for both the refuge and the partnering entity, and it was suggested the refuge take opportunities to promote and enhance the benefits to partners. One such suggestion was promoting that partners, particularly non-profits, could list their partnership with the refuge on grant applications. Participants suggested that the refuge could be a place to hold skills-based workshops instructed by non-refuge staff. This was seen as a way to expose residents to the refuge who may not visit on their own. Other strategies included working with established groups, such as non-profit organizations and other service groups that provide recreation programs for diverse groups, to hold their events at the refuge. Participants suggested that lack of awareness of refuges could be addressed with strategic marketing and advertising, including using existing information channels and trusted partner organizations. Examples of new strategies included enhancing signage on the refuge, using social media (particularly to engage youth), placing articles in community newsletters and brochures to new homeowners, utilizing local television and radio stations, and getting local community members to help spread the word. Other opportunities included connecting with local sporting and community events, including speaking at the conclusion of religious services. Advertising through community or school groups was also recommended. Particular emphasis was placed on inserting promotions in media most likely to be seen in diverse communities, such as ethnic newspapers, publications from faith-based organizations, and radio stations. The groups also stressed that media materials should visually represent a broad range of people from diverse ethnic and age groups. Participants suggested keeping messages simple, providing signs in multiple languages, and focusing on key talking points that connect and educate. It was suggested that the messages also emphasize that refuges and public natural areas belong to the people of the community. Participants indicated that some groups would visit the refuge if more structured activities, events, and programs were offered. Additional interpretation programs on the refuge, volunteer service programs, and special events to increase awareness were given as examples. Offering food at these types of events was mentioned as a great way to bring in families. Participants also thought that hosting events celebrating the diversity of different cultures in the local communities could help attract a broader cross-section of visitors. Additional ideas included canoe programs, curriculum-based environmental education for school groups, interpretive sleepovers, summer camps, non-outdoor programs (e.g., charity events in the visitor center), youth ranger programs, and contests (e.g., a photo-essay contest for middle and high school, or a drawing contest for kids and adults). Increased flexibility in the times that programs and events are offered was also suggested, especially for organized groups trying to schedule a trip. Increasing the cultural awareness and sensitivity of refuge staff was also suggested. The discussion covered the importance of diversity training to help staff and outdoor recreation leaders understand complexities and differences within and among diverse cultures. Having staff members and partners who are role models from the communities that refuges are trying to reach was discussed as a key part of this strategy as well. Participants also discussed utilizing internships, partnerships, and volunteers from diverse communities. Participants indicated that facilitating transportation to the refuge, particularly for school groups, could help overcome transportation-related barriers. Grants or partnerships with local organizations could help provide funding for school groups or a shuttle service into neighborhoods. At some refuges, opening walk-in gates and removing fences where possible could improve access. Adding refuges to public transportation stops was also mentioned. Helping local community members feel more welcomed at refuges was identified as a strategy. Participants commented on refuges with perimeter fences and how using less obtrusive materials and adding signs that promote the refuge could make them more welcoming. Increasing perceptions of safety among visitors at the refuge was also mentioned as an important consideration. In addition, having more staff or volunteers available for visitor services and to greet visitors was suggested. Much of the discussion about engaging youth centered on schools and encouraging school groups to visit the refuge. The most common suggestions were to design refuge activities to meet school curriculum requirements and find ways (e.g., partnerships, grants) to fund transportation. A lot of discussion concentrated on the need to visit schools to promote refuge programs to students and teachers. Participants also described strategies to engage youth audiences through competitions and contests between schools. Youth were described as very competitive. Competitions within and between high schools could invoke a sense of school pride and spirit while simultaneously connecting students to the refuge. For example, high school students could be asked to write about, paint, or draw an experience they had at the refuge, and prizes could be awarded to individuals or schools for the best entry. Students could help spread the word about a refuge through their social networks, because they would want to show their friends what they did for the contest. Participants discussed a need to encourage more volunteerism among youth audiences. The thought was that youth volunteers could be ambassadors for the refuge to their communities and help promote the refuge to a wider audience. Volunteer opportunities could meet service learning or volunteer requirements that exist for some local high school students. A Junior Ranger Program that engages local youth and helps to create positive images of what it is to be a ranger or refuge employee was also suggested. Participants suggested specific resources that they felt would help facilitate visits to the refuge. One was a resource list or tool-kit with resources, information, equipment, and trail access points that event leaders could use to plan group trips to the refuge. This could help organizations become familiar with the refuge, the rules and regulations, and what they can do there at different times of the year. Providing this to groups was seen as a way to lessen the burden on the refuge to provide programs, particularly when there is limited staff. Another desired resource was a list of individuals (non-refuge staff) who could be called-upon to serve as guides when groups want to visit the refuge. Participants thought there might be some people in the community with unique knowledge and information about the refuge or the plants and animals there who would be willing to volunteer and share their knowledge with less experienced audiences. The findings from these community workshops can guide the Service’s management actions related to mitigating barriers and promoting strategies in the endeavor to diversifying and expanding its conservation constituency over the next decade. Information from the workshops helped fill a gap in research on motivations and barriers to outdoor recreation in wildlife-dependent recreation among urban and diverse populations. In addition, the workshops provided insight on strategies that can be used. A positive by-product of the workshops was the opportunity to improve communication between refuge managers and local populations and community organizations. A key recommendation from the workshops included the suggestion to conduct targeted marketing efforts based on communities’ preferred media and information networks, such as community newspapers and schools (e.g., providing students with informational materials to take home to parents is a way to reach the broader community). This could dovetail with a broader effort to develop partnerships with community organizations already working to connect diverse urban audiences to nature and outdoor recreation. Examples include the Boys and Girls Club, local parks and recreation departments, senior centers, and religious institutions. These collaborations would allow refuge staff to utilize their partners’ networks and resources. Chief among suggested partners were local schools. Working with teachers to increase their familiarity with refuges and comfort levels with the outdoors is critical to reaching students. By offering guided programs that meet education standards, it would be easier for schools to justify the time away from the classroom and the expense of a field trip. Offering educational and interpretive programs in schools would also minimize the interruption of teaching time. Additional efforts that can be made at refuges that participants discussed focused on making a more welcome physical appearance for visitors. These improvements included additional entrances, more welcoming signage, and removing fencing or making it more aesthetically pleasing near entrances. Offering more structured programs, activities, and special events was suggested to draw in visitors and raise awareness about refuges. Providing family-oriented opportunities that appeal to multiple generations can reach audiences that prefer to recreate in extended families. Providing opportunities to socialize is an important way to reach youth. Lastly, participants recommended increasing the diversity and cultural sensitivity of refuge staff and volunteers. Existing personnel could participate in cultural-sensitivity training and be trained to conduct outreach to urban audiences. In addition, individuals in partnering organizations can be trained to conduct refuge-related outreach in the communities they already serve. For example, high school or college internship programs could be a source of positive role models with ethnic and cultural backgrounds matching the participants in local communities. Overall, participants indicated that there were many ways to address the barriers that exist for local community residents. They expressed their appreciation for the opportunity to engage with the refuge on how to overcome barriers to greater participation in outdoor recreation. 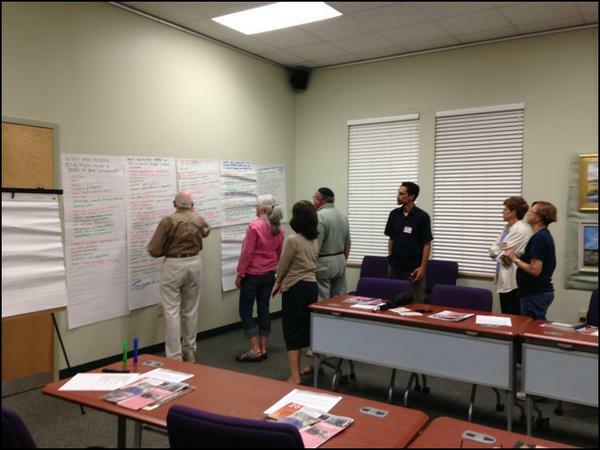 Focus group participants at Arthur R. Marshall Loxahatchee NWR identify barriers to greater use of the refuge. 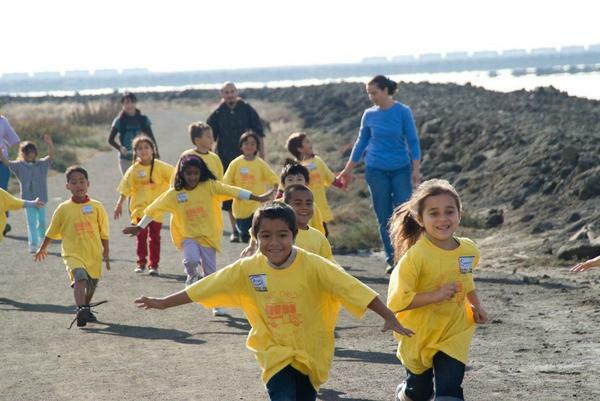 Elementary school students letting loose on a field trip to Don Edwards San Francisco Bay NWR. Urban refuges can provide many forms of outdoor recreation. 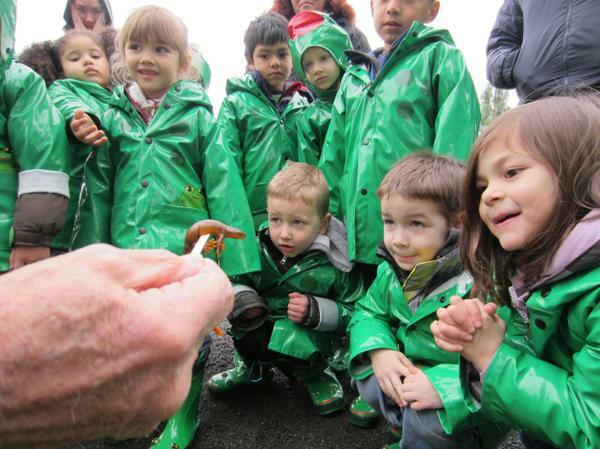 A group of youth “Puddle Stompers” from Head Start find a rough-skinned newt at Tualatin River NWR. 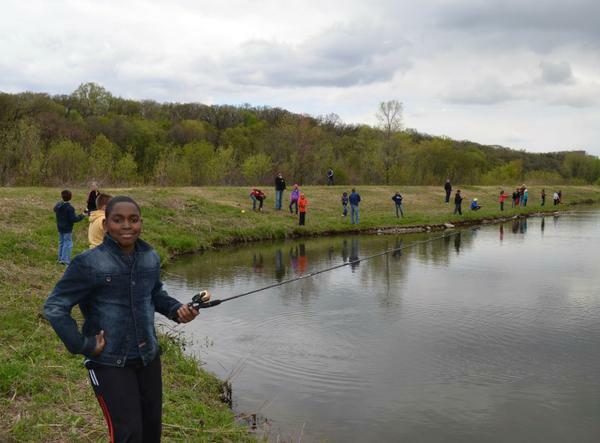 Youth Fishing Day at Minnesota Valley NWR. Collaborating with schools and school systems was the most commonly suggested partnership. To meet the goals of the Urban Program, more information is needed about the current state of engagement with urban audiences and the institutional factors that impact the agency’s efforts to connect with diverse constituents. We conducted interviews with refuge staff and partners to better understand these factors. This information compliments the community workshops, providing insight into how the perspectives of practitioners align with those of community members, and provides an overall picture of the agency’s capacity to connect urban residents with nature and wildlife. Much of the research that has examined factors that limit participation in outdoor and wildlife-dependent recreation in the United States focuses on individual and society-level factors to explain participation, or lack thereof (see What is the State of Science section). However, few studies examine institutional and structural factors that may affect an agency’s ability to attract diverse constituents to recreate at their public lands or participate in nature-based programs. Institutional factors refer to those arising in larger systems than individual people (e.g., an agency or organization). Structural factors are the collective impacts of several factors that are repeated over and over and become embedded and “normal” (Young, 1990, p. 41). Studies focused on institutional factors for park and recreation agencies have generally examined barriers to work-force diversity (Allison, 1999; Tator, 1996) and organizational barriers to encouraging visitor diversity (Allison and Hibbler, 2004). Tator (1996, p. 160) stated: “the human-service delivery system has, to a significant degree, failed to adapt its programs and services, its administrative systems, and its organizational structure to the reality of a multiracial society. The consequences of this neglect are inadequate and inappropriate services to members of racial, ethnic, and cultural minorities.” Allison (1999) also found that most efforts made by agencies to address diversity could be characterized as symbolic because they lacked the resources and support needed to change the status quo. For example, although diversity training was thought to be an important strategy to enhance sensitivity to diversity issues, it has been ineffectively and inconsistently administered. A study examining perceptions of National Park Service staff regarding strategies to encourage visitor diversity at urban sites found that the agency’s leadership did not clearly communicate diversity goals or provide resources to support diversity initiatives (Santucci et al., 2014). Similarly, in a study by Johnson Gaither, Robert, and Hanula (2015), U.S. Forest Service recreation managers cited a lack of fiscal and staff resources to implement programs to encourage visitation by diverse racial and ethnic groups. The inability of the agency to recognize and respond appropriately to the changing nature of communities served. The ethnic composition of staff, which did not reflect community diversity. Misguided or ineffective responses to programs designed for diverse audiences. Despite willingness to offer culturally relevant programming, few demonstrated an integrated and systematic approach to such planning. Other research has found that agency employees cite a lack of money, time, and available resources as principle reasons for not adopting marketing strategies for hard to reach populations (Bright, 2000). Given these limitations, marketing efforts are inconsistent and limited to semi-annual or annual advertisements and brochures. No studies have specifically examined institutional and structural factors that may facilitate or impede the Service’s ability to attract diverse constituents to recreate at refuges or participate in nature-based programs. A survey of Service staff was conducted in 2010 to understand the constraints to connecting children with nature (Ratz and Schuster, 2011); while these constraints may differ from those for connecting diverse urban constituents, some of the institutional factors are likely to affect both efforts. The survey found that most staff disagreed that the Service dedicates adequate resources (staffing, time, and materials) to efforts to connect children with nature. Interviews were conducted with refuge staff and partners to gain an in-depth understanding of the Refuge System’s engagement of urban audiences. Qualitative descriptive research methodology was used in the design and implementation of the study. The goal of qualitative description is a comprehensive summarization of specific experiences of individuals or groups of individuals (Sullivan-Bolyai, Bova, and Harper, 2005). Unlike other forms of qualitative inquiry, this methodology does not use abstract frameworks, and it is particularly useful in answering questions relevant to practitioners and policy makers because it presents straightforward and minimally theorized results (Sandelowski, 2000). Refuge staff and partners were initially selected from the refuges where community workshops were conducted (see Community Workshop Methods section, Table 2). Staff members from satellite refuges, or other refuges within a complex, were also included if recommended by a point of contact from one of the original seven refuges (these included Antioch Dunes, Hobe Sound, Ridgefield, and San Pablo Bay refuges). Valle de Oro Refuge in Albuquerque, New Mexico was added to the study to provide greater variation in the sample by including the perspectives from staff and partners at a newly established urban refuge. The refuge is not yet open to the public, but there has been a lot of effort to engage the local community in refuge planning and activities. A purposeful sampling strategy was used to select interviewees who could provide the most information related to the topics of interest (Patton, 2015). To explore a variety of perspectives, a maximum variation approach (Merriam, 2009) was employed by selecting individuals in varied roles at the refuge (e.g., managers, visitor services specialists, biologists, law enforcement, and partners). Specific individuals were identified through communications with a main point of contact at each of the primary refuges; all participation was voluntary. Semi-structured, open-ended interviews were conducted with participants by phone. The topics and issues covered were predetermined, but the sequence and wording of questions was adapted on-the-fly based on the flow of conversation and topics that arose with each individual. Background information about participants’ professional experiences (e.g., years with the Service, years working at/with a particular refuge, and types of work done in urban areas) collected prior to the interviews through SurveyMonkey also helped focus the discussion on individuals’ unique experiences. Interviews focused on four major topic areas to address specific information needs. First, participants were asked about refuge visitation to understand the current levels of engagement with the urban community. Next, they were asked to discuss their perceptions of urban residents’ barriers to visiting the refuge and connecting with the outdoors to compare the staff perceptions to those of community members from the workshops. Interviewees were also asked to describe any strategies they have used, past or present, to engage urban audiences. This helped to develop an understanding of what is happening on the ground and what has and has not been successful. Finally, participants were asked about the institutional factors, at the refuge, regional, and national levels, that may facilitate or impede their ability to connect the urban community to wildlife, nature, and the refuge. Interviews were conducted until the researcher began to hear redundancy in responses and no new information surfaced. A total of 26 interviews with refuge staff and 9 interviews with refuge partners were conducted from September 2013 through April 2014. The interviews were recorded and transcribed. A thematic analysis approach was used to analyze the interview transcripts. This approach focuses on identifying and describing implicit and explicit ideas within the data (Guest, MacQueen, and Namey, 2012). The interview transcripts were read repeatedly and then coded with key words or phrases that described the content. After repeated analysis of the coded documents, related codes were grouped together into major themes. The following section describes the major themes that emerged from the interviews. Quotes drawn from interview transcripts have been edited; verbal pauses, false starts, and stutters have been removed. Although there is some concern that editing words can inadvertently alter meaning (Neufeld, Marchessault, and Dean, 2006), only minor edits were made to improve the flow and readability. Only the name of the primary refuge or refuge complex is used to identify quotes; this allows for better understanding of the context while maintaining the anonymity of interviewees. “Usually, it's people who are well educated who are here, and not just an average citizen who's got some free time” (Minnesota Valley). In some cases, interviewees believed that the demographics of visitors, while not representative of the urban area as a whole, were close to representing the demographics of the neighborhoods nearest the refuge. This was the case when the refuge, or a unit or the refuge, was located on the edge of a city or in a more suburban or bedroom community. Overall, refuge staff and partners described visitation by racially and ethnically diverse individuals as very rare and many believed that visitation to the refuge did not represent the demographics of the area. While diversity is generally lacking, refuge staff reported higher representation among minority groups for certain recreation or subsistence activities. For example, fishing was said to see the most diversity, with Hispanic, African American, blue collar white, Hmong, Mexican, Russian, and Eastern European residents participating. In the Minneapolis area, it was noted that Southeast Asian and Hmong populations dominate visitation for small game hunting in the area and at Sherburne Refuge, located about an hour outside of Minneapolis. Refuge staff and partners were asked about their perceptions of the barriers that limited urban residents’ participation in recreation at the refuge and in outdoor recreation more generally. Barriers could be any circumstance or obstacle that would limit or prevent their participation. Some of the barriers identified were practical in nature, such as lack of financial resources and lack of time. Others had a cultural basis, such as beliefs, traditions, and familiar influences. In the majority of interviews, transportation was discussed as a barrier. The lack of public transportation options to refuges and lack of personal vehicles for many urban residents were seen as huge issues that need to be addressed to have greater visitation from diverse audiences in the community. However, a lot of interviewees also noted that just solving the transportation barrier would not automatically facilitate engagement because other barriers need to be addressed as well. Interviewees also expressed that the public is not aware that refuges are open to the public, do not associate them with any specific recreation opportunities, and do not know their purpose. Other agencies, such as the National Park Service, were viewed as more identifiable in these ways than the Refuge System. As a result, the public does not seek out refuges as places to recreate. Refuge staff and partners indicated that some urban residents have little or no interest in the recreation opportunities offered at their refuge. Reasons provided were that urban residents have no experience participating in the opportunities typically offered, or that the refuge does not offer the types of recreation opportunities that would be desirable for more people in the urban community. Interviewees often discussed how individuals with limited or no experience in natural settings may be uncomfortable in the outdoors and associate a level of danger or fear with the outdoors. Another reason given was that some urban residents feel uncomfortable at certain outdoor areas because there is a lack of diversity among staff and other visitors. Cultural norms associated with outdoor recreation for specific groups were seen as a challenge for drawing people to refuges. Refuge staff described how specific groups or communities in the urban area visit particular parks or outdoor spaces and participate in particular activities. They recognized that urban residents are more apt to do familiar activities in familiar places with people they feel comfortable with than to try something new like the refuge. A commonly mentioned belief was that some urban residents are unlikely to visit refuges because they are managed by a federal government agency. A general distrust of the federal government and feeling intimidated by the government were discussed. In particular, immigrant communities were perceived to associate anything government-related with immigration authorities and are therefore leery of interacting with federal employees for fear of being harassed, and if without proper documentation, deported. The uniforms worn by refuge staff were also seen as intimidating, and staff believed they are mistaken for police or border patrol officers. Internal barriers arising from organizational and structural factors were identified that limit program access and opportunities for urban audiences. While not intentional, many participants articulated how certain practices and policies result in decreased effectiveness of engaging diverse urban audiences. The organizational level of these barriers varied, with some existing at specific refuges, within the Refuge System, within the Service, within the federal government more broadly, and some at all levels. Interviews revealed differing perceptions about what, if anything should be done about many of the internal barriers. For example, some participants described factors that might limit attracting urban audiences, but also believed those factors, such as policies, are critical to the mission of refuges and should not be changed. One of the most commonly identified internal barriers relates to the community barrier of lack of awareness of refuges, the Refuge System, and the Service among the public. When these barriers were discussed, many participants attributed them to a lack of marketing and lack of innovation in marketing at all three agency levels. Furthermore, some expressed not knowing the most effective way to communicate with the public. Others stated that as a federal agency, they could not advertise or spend money on advertising. At the same time, some individuals shared examples of how other federal agencies advertised and expressed their frustration that the Service does not use similar strategies. The mission and primary purpose of refuges was commonly described as protecting “wildlife first” by refuge staff and partners. Based on the interviews, it was evident that this mission drives management decisions on refuges, including those about recreation opportunities. There were also comments that indicated that refuge management is very much driven by the establishing purpose of a refuge and refuge mission, which was often wildlife focused as well. Refuge staff commonly referred to policies and guidance on what activities can be offered on the refuge, such as the Appropriate Refuge Uses Policy and Compatible Use Policy. Some participants also mentioned that recreation on refuges has to be wildlife-dependent or one of the “Big 6” priority public uses (hunting, fishing, wildlife observation, wildlife photography, environmental education, and interpretation). Again, sentiments varied with regard to whether this guidance and current way of doing things should be changed. The following quotes demonstrate how some refuge staff struggled with the goals of the Urban Program because they felt they would create pressure to expand refuge uses that are not in line with current guidance and policies. Prioritizing refuge management activities also generated a lot of discussion. Some discussed the lack of resources (funding, staff, and time) for the refuge to meet the goals of the Urban Program. Generally, refuge staff described the challenges of accomplishing all the things they need to do with the current resources available, and sometimes indicated that biological needs take precedence over visitor services functions. Visitor Services staff often expressed frustration and described how disheartening it is to be in Visitor Services and know that your work is not valued as much as other roles at the refuge. Refuge staff and partners alike expressed sentiments about resistance to change current practices within the agency. The current practices most often referred to in these cases were the focus on wildlife first over public engagement and not adopting more innovative approaches to connect with the public. In some cases this was described on an individual level: change is hard for people and they are more comfortable doing things the way they have always been done. In other examples, people expressed that the culture within the Service kept change from happening, and that there was not enough support to try new things. The lack of diversity among refuge staff, partners, and volunteers often came up during interviews, a factor many believed contributes to making refuges less welcoming or attractive to diverse audiences. When discussing this, a lot of staff pointed to institutional factors that make this situation difficult to change, such as the federal government’s hiring processes. The skill sets of staff at urban refuges came up a number of times in interviews. Many suggested that the skills that the Refuge System currently prioritizes are not the skills that are most critical to succeed in urban areas. Staff, including managers, traditionally have strong natural science backgrounds, but some felt other skills were more important for refuge managers or other staff at urban refuges. Refuge staff and partners were asked to share any strategies, programming, and management practices that were effective for engaging the urban community. They were also asked if they have tried anything that wasn’t effective and to share lessons learned from those experiences. Overall, they identified only a limited number of specific strategies to connect with urban residents. Given this, participants were asked what was needed to be successful in meeting the goals of the Urban Program. In general, few strategies were shared for successful marketing and outreach. For the most part, refuge staff indicated that they could not advertise or spend money on marketing, so minimal efforts were made in that area. A number of participants indicated a need for greater latitude to employ innovative marketing techniques. The one area where some success was seen was in the use of technology and social media to reach people. A couple of individuals from Tualatin River Refuge mentioned that awareness of the refuge was increasing in the community through word-of-mouth and by targeted outreach through teacher workshops. They attributed a shift in refuge visitation and the awareness of the refuge in the urban area to these efforts. Building meaningful relationships and making personal connections was viewed as crucial to engaging community residents, particularly those groups for which cultural barriers exist. Making personal connections with a few trusted community members was seen as a key starting point. Some staff had been successful by having meals or coffee with these individuals where they did not assume their role as a government employee or conservationist, but just got to know the person. There were challenges to doing this that arose, particularly because it takes a lot of time and consistency to really work. Also, maintaining relationships is difficult with staff turnover, and there was a suggestion made to have multiple refuge personnel involved so relationships don’t deteriorate when one person leaves. Refuge staff and partners recognized that transportation barriers for some urban residents limit their ability to visit the refuge; therefore, success depends upon using other methods to engage the community with the natural world and nature. Getting off the refuge and going into the community to deliver programs or other projects was seen as a big factor in success. Some described holding festivals on the refuge as a good way to engage the urban community. A few interviewees shared their success with marketing these events to diverse and new audiences, such as Latino communities. One participant recalled having 10 to 12 Latino families at their bird festival and, in the last two years, seeing more participation by Asian residents. Other events and festivals that reportedly had diverse demographic attendance are “Shark Day” at San Francisco Bay Refuge and International Migratory Bird Day festivals. Most who discussed this, however, saw the success of such events as limited. They believed that while the events were well attended by diverse groups, they had limited success in building long-term connections between the community and the refuge. The most commonly cited method of connecting with diverse audiences was through school groups. Many refuges are working with schools and particularly target schools that serve lower income and more diverse segments of the urban population. Many believe that in doing so they offer children opportunities to connect with nature and wildlife that they wouldn’t otherwise have. This was seen as a crucial start to creating a bond with the children and nature that would foster a long-term conservation ethic. Others also expressed that when school children visit the refuge and enjoy their experience, they go home and ask their parents to bring them back to the refuge in the future. Through work with these school groups, they gain more recognition among the urban community and build their constituency of conservationists. However, not everyone was in agreement as to how well this transfer actually works or if it occurs at all. Refuge staff and partners recognized the importance of partnerships for meeting the goals of the Urban Program. Refuge staff in particular described how working with partners expanded their capabilities beyond anything they could do with limited staff and resources. Some refuge staff enthusiastically described successful partnerships, the benefits they derived from them, and how specific partnerships helped overcome barriers to engaging with urban communities, such as transportation barriers. There was a call for more partnership development at the national level with corporate, co-op, federal agencies, and other nationwide entities. The challenges that arose related to partnerships were similar to those related to building relationships and making personal connections; the time involved, lack of staff to dedicate that time, and that there is a high amount of turnover at refuges and partner organizations that make initiating and maintaining partnerships difficult. In the section on internal barriers, many gave examples of how refuge policies, missions, and perceived lack of support from leadership inhibited the work of the Urban Program. However, some comments suggested that support from Refuge System and Service leadership was helping to make the Urban Program a priority at refuges. Also, new policies and guidance, such as the Standards of Excellence developed to serve as a framework for urban refuges, provided alternative guidance and needed support to make connecting with the urban community a priority. The interviews with refuge staff and partners indicated that urban refuges are not serving the diversity of residents in their urban communities. Staff and partner descriptions of visitors to their refuge were consistent with the results of the national wildlife refuge visitor survey, which showed that 96 percent of visitors are white, are an average age of 56, and have a higher median household income ($75,000-99,000) than the national average. Many challenges to meeting the goals of the Urban Program and connecting to diverse urban communities came up in these conversations. As evidenced by the results of the interviews, the challenges are complex and varied. It becomes abundantly clear that people do not perceive there to be a “silver bullet” fix. When participants discussed strategies to engaging urban audiences, they nearly always brought up challenges associated with the strategy, or they recognized that fixing one problem, such as transportation, would not automatically lead to engaging the community. Many encouraging stories were shared that provide a good starting point to build on what’s working. Policy and leadership support, for example, is expanding. To be successful, this support needs to impact what happens on the ground at refuges. Better internal communication is needed along with other types of support for urban work at refuges. This includes funding and staffing to change the perspectives of refuge staff and the priority they place on connecting urban audiences to nature. Additional comparisons of the interview data with the other aspects of this research project are discussed in the Key Findings and Implications section. This study was conducted to support and inform the Urban Wildlife Conservation Program and its effort to connect with diverse urban audiences. Attracting new audiences to wildlife dependent recreation can expand support for the U.S. Fish and Wildlife Service and natural resources conservation in general. Moreover, other federal, state, and local outdoor recreation providers can benefit from insights provided by this study as each must learn about and adapt to the Nation’s changing social landscape. Drawing on existing research, interviews with refuge managers and their partners, and community workshops held in several locations around the country, we conclude with seven general recommendations that can initiate constructive action by Refuge System and Service staff. Although the data in the report come from different regions of the country, several common issues and concerns were identified. Urban refuges have the capacity to serve the recreation needs of diverse audiences. The discussions from community workshops and interviews with refuge managers and partners revealed that many of the activities that workshop participants and managers have observed on refuges or other recreation areas could be pursued at refuges. Trails within refuges provide opportunities for walking and jogging. Fishing is one activity that has been widely studied and is a common urban outdoor activity. Fishing participation within urban populations is motivated by subsistence needs, sport, and social interaction (e.g., doing something with children and family). Working with schools, refuges can also serve as primary locations for science and environmental education programs. Such programs could also serve older adults and social service agencies that provide programs for older adults. When possible, visitor centers can be made available for community social events unrelated to the Service (e.g., public meetings, receptions, art displays, etc.). By making the public more aware of existing recreation opportunities and other ways refuges can be used to serve the community, refuges can open the door to further engage local communities to promote traditional refuge activities focused on wildlife. The desired result is better promotion of recreation opportunities on refuges and creation of new opportunities available to local communities. People choose outdoor recreation settings that offer opportunities to meet their social and psychological needs (Manning, 2011). The motivations identified in the literature review, community workshops, and interviews with managers and partners are compatible with settings provided by urban refuges. The need for relaxation, exercise and fitness, social activities with families, learning something new, and opportunities to be outside in nature are motivations commonly expressed by outdoor recreationists. This suggests that urban audiences are motivated by the same mix of desired social and psychological outcomes as other recreationists. At the same time, the desire to re-connect to cultural origins and participate in events that celebrate their ethnic heritage are motives that are unique to some ethnic and cultural groups. More opportunities could be taken to incorporate ethnic heritage in refuge programs and refuges can partner with community groups to support cultural events. The barriers found in the literature review, community workshops, and interviews with managers and partners largely overlapped. They included lack of time and financial means; not being aware of local refuges; lack of transportation; organizational barriers (e.g., lack of funding and staff); cultural factors (e.g., activities not common among some ethnic groups); lack of experiences in outdoor recreation; personal safety; and the agencies’ prioritization of wildlife protection over connecting with people. Of the barriers identified, lack of awareness of local refuges, lack of transportation, organizational factors, lack of experience in outdoor recreation, personal safety, and agency priorities can be directly addressed by the Service. Awareness and transportation barriers can be addressed through better promotions and partnerships, respectively. It is within the Service’s ability to provide additional staffing and funding through budget re-allocation and by partnering with other agencies and community organizations. On-site and off-site programs (e.g., in schools, local recreation community centers) can be developed to teach outdoor skills associated with visiting refuges (e.g., plant/animal identification). Personal safety and environmental quality were cited in studies and in comments from the community workshops and interviews. Concerns about wildlife (e.g., snakes and ticks) can be part of ongoing programs focused on outdoor safety during a visit. Fears associated with historical racial violence did surface in the community workshops and were described as a potential reason why some African Americans did not use local refuges. Such memories are not easily forgotten. Although more difficult for a refuge to directly address, it is important for refuge staff and partners to be aware of such historical events. As discussed below, involving community members in developing refuge activities can help raise awareness about a group’s past history with a particular site or the outdoors in general. As mentioned above, lack of awareness of refuges was consistently mentioned in community workshops and interviews with refuge staff and partners. The main recommendation from the community workshops was to increase promotion and advertising of refuges. Based on the literature and workshop discussions, it is important to tailor messages to reach specific cultural groups and audiences that know very little about refuges. Messages that make residents aware that many of the outdoor activities (e.g., walking and jogging) and experiences they enjoy in other recreation areas can be found on refuges could help attract recreationists that typically use other recreation areas. Refuges can also use promotions to educate the public about the kinds of recreation activities that are available at refuges. To be effective, refuges must go beyond traditional communication channels and partners to identify channels most likely to reach specific ethnic and cultural groups (e.g., ethnic newspapers and radio, churches, etc.). Along with increasing promotions and advertising, refuges can work more intensively with local community organizations to develop programs that appeal to different cultural groups. To be effective, it is critical that refuge staff involve local community members in the design of educational messages or other promotional materials targeted for specific cultural groups. Community workshops, as used for this project, and standing advisory groups can be used to involve local communities. To build trust with community organizations, it is critical that refuges develop longstanding relationships with local community organizations and ensure that community members are meaningfully engaged in planning programs for local populations. Having more diverse staff representative of local communities can enhance such efforts. Partnerships were a common strategy mentioned in the literature and in the workshops and interviews. The most common partnership identified from the community discussions was with schools (i.e., K-12). Schools represent the “low hanging fruit” in terms of potential partners. All of the refuges involved in this project had relationships with local schools. Field trips to refuges and school visits by refuge staff were the most commonly suggested partnership activity. Refuges can serve as primary locations for science and environmental education for individual teachers or entire schools and school systems. Schools can also be recruiting grounds for refuge volunteers. As volunteers, youth can learn about career opportunities in natural resources management, gain valuable work experience, and learn about wildlife and refuge-based recreation. By focusing on career opportunities, refuges can play a role in developing the next generation of conservation leaders. Lack of adequate funding to support new refuge activities is an ongoing challenge. For local community organizations and schools, lack of adequate funding for transporting youth to refuges poses a barrier to expanding current programs. Interviews with refuge staff indicated that existing funding does not allow them to dedicate time to the Urban Program or hire additional staff to do so. Partnering with other organizations is critical to leveraging refuge resources and capitalizing on the contributions that different entities can make in this effort. For example, some organizations may be able to provide the personnel needed to lead programs on the refuge or the transportation resources needed to get there, while the refuge can supply the site, facilities, recreation equipment, and other resources. The Service does have formal Urban Wildlife Refuge Partnerships under the Urban Program umbrella. These partnerships are established through the Five Star and Urban Waters Restoration Grant Program, administered by the National Fish and Wildlife Foundation, and funded by multiple agencies and corporate sponsors, including the Service. Through this, the Service seeks to fund projects that engage urban neighbors and foster a sense of stewardship where there are Service lands or offices within approximately 25 miles. Projects are selected that engage communities in conservation on easily accessible lands that the Service does not own. They involve residents in place-based outdoor experiences that foster connections with fish, wildlife, and their habitats. Since 2013, 17 of these partnerships have been created. Other funding sources and mechanisms need to be identified if the Urban Program is to reach its potential as a Service-wide effort. To be successful, the Service must work adaptively with partners toward the goals of the Urban Program. Likewise, other conservation organizations can learn from the Urban Program to increase participation, diversity, and engagement from a wide range of communities. 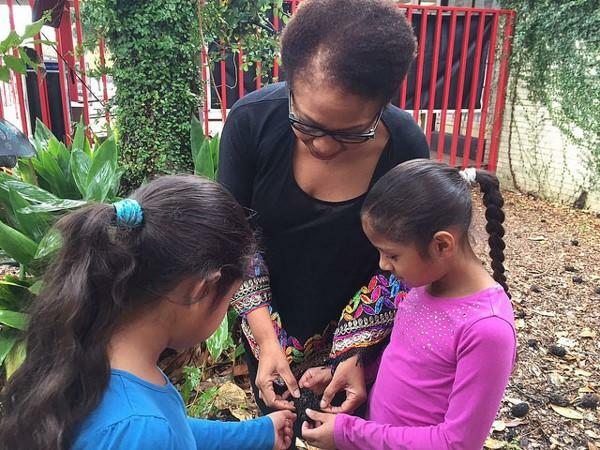 Efforts will involve learning along the way and, in some cases, doing business differently to provide more meaningful opportunities for urban residents to find, appreciate, and care for nature in their cities and beyond. 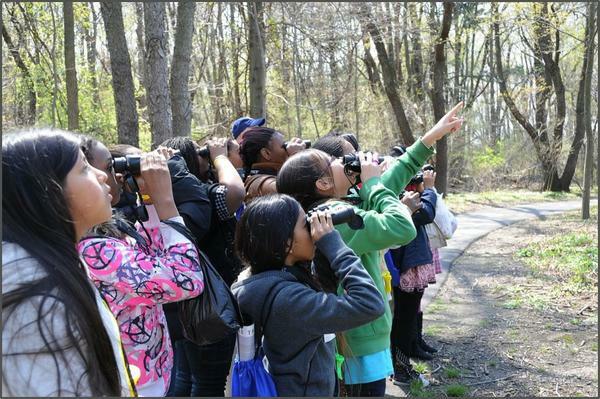 Youth group bird watching at the John Heinz NWR in Philadelphia. Allison, M. T. (1999). Organizational barriers to diversity in the workplace. Journal of Leisure Research, 31(1), 78-101. Allison, M. T., and Hibbler, D. K. (2004). Organizational barriers to inclusion: Perspectives from the recreation professional. Leisure Sciences, 26(3), 261-280. Berube, A., Frey, W. H., Friedhoff, A., Garr, E., Istrate, E., Kneebone, E.,...Wilson, J. H. (2010). State of metropolitan America: On the front lines of demographic transformation. Bixler, R. D., Floyd, M. F., and Hammitt, W. E. (2002). Environmental socialization: Quantitative tests of the childhood play hypothesis. Environment and Behavior 34(6), 795-818. Bright, A. D. (2000). The role of social marketing in leisure and recreation management. Journal of Leisure Research, 32(1), 12-17. Chawla, L. (1999). Life paths into effective environmental action. Journal of Environmental Education 31(1), 15-26. Edwards, M. B., and Matarrita-Cascante, D. (2011). Rurality in leisure research: A review of four major journals. Journal of Leisure Research 43(4), 447–474. Ewert, A., Place, G., and Sibthorp, J. (2005). Early-life outdoor experiences and an individual’s environmental attitudes. Leisure Sciences 27(3), 225-239. Floyd, M. F., Bocarro, J. N., and Thompson, T. D. (2008). Research on race and ethnicity in leisure studies: A review of five major journals. Journal of Leisure Research 40(1), 1–22. Gobster, P. H. (2002). Managing urban parks for a racially and ethnically diverse clientele. Leisure Sciences, 24(2), 143-159. Guest, G., MacQueen, K. M., and Namey, E. E. (2012). Applied thematic analysis. Thousand Oaks, CA: Sage. Johnson Gaither, C., Roberts, N. S., and Hanula, K. L. (2015). Visitor diversity through the recreation manager lens: Comparing Forest Service Region 8 (U.S. South) and 5 (California). Gen. Tech. Rep. SRS-205. Asheville, NC: U.S. Department of Agriculture Forest Service, Southern Research Station. Karsten, L., and van Vliet, W. (2006). Increasing children’s freedom of movement. Children, Youth and Environments 16(1), 69-73. Krueger, R. A., and Casey, M. A. (2009). Focus groups: A practical guide for applied research (4th ed.). Thousand Oaks, CA: Sage. Le, L. (2012). Hispanic and white visitors in U.S. national parks: Meta-analysis of visitor use survey. Journal of Park and Recreation Administration. 30(4), 1-20. Louv, R. (2008). Last child in the woods: Saving our children from nature-deficit disorder (2nd ed.). Chapel Hill, North Carolina: Algonquin Books. Manning, R. E. (2011). Studies in outdoor recreation: Search and research for satisfaction (3rd ed.). Corvallis, OR: Oregon State University. Merriam, S. B. (2009). Qualitative research: A guide to design and implementation (3rd ed.). San Francisco, CA: Jossey-Bass. Morgan, D. L. (1998). The focus group guidebook. In D. L. Morgan and R. A. Krueger (Eds. ), Focus group kit (Vol. 1). Thousand Oaks, CA: Sage. Neufeld, H., Marchessault, G., and Dean, H. (2006). From talk to text: Balancing ethical and aesthetic considerations in editing [Editor's note]. Canadian Journal of Diabetes, 30(4), 379-380. Nordhaus, T., and Shellenberger, M. (2007). Break through: From the death of environmentalism to the politics of possibility. New York, NY: Houghton Mifflin. Pike, C., Herr, M., Minkow, D., and Weiner, H. (2008). The ecological roadmap: A guide to American social values and environmental engagement [Executive summary]. Ratz, J. M., and Schuster, R. M. (2011). A survey of U.S. Fish and Wildlife Service employees regarding constraints to connecting children with nature: Summary report to respondents (U.S. Geological Survey Open-File Report 2011-1025). Sandelowski, M. (2000). Whatever happened to qualitative description? Research in Nursing and Health, 23(4), 334-340. Santucci, D. C., Floyd, M. F., Bocarro, J. N., and Henderson, K. A. (2014). Visitor services staff perceptions of strategies to encourage diversity at two urban national parks. Journal of Park and Recreation Administration, 32(3), 15-28. Sexton, N. R., Dietsch, A. M., Don Carlos, A. W., Koontz, L. M., and Solomon, A. N. (2012). National wildlife refuge visitor survey results: 2010/2011 (U.S. Geological Survey Data Series 643). Shaull, S.L., and Gramann, J.H. (1998). The effect of cultural assimilation on the importance of family-related and nature-related recreation among Hispanic Americans. Journal of Leisure Research, 30(1), 47-63. Spencer, C., and Woolley, H. (2000) Children and the city: A Summary of recent environmental psychology research. Child Care, Health and Development 26(3), 181-197. Sullivan-Bolyai, S., Bova, C., and Harper, D. (2005). Developing and refining interventions in persons with health disparities: The use of qualitative description. Nursing Outlook 53(3), 127-133. Tator, C. (1996). Anti-racism and the human-service delivery system. In C. James (Ed. ), Perspectives on racism and the human services sector: A case for change (pp. 152–170). Toronto, Canada: University of Toronto. Thompson, E., and Floyd, M. F. (2015). Race, ethnicity, urban populations, and wildlife-dependent recreation: A review and synthesis of the literature. AG-805. U.S. Census Bureau. (2010). Annual estimates of the resident population for the United States, regions, states, and Puerto Rico [Data file]. U.S. Census Bureau. (2012, December 12). U.S. Census Bureau Projections show a slower growing, older, more diverse nation a half century from now [News Release CB12-243]. U.S. Fish and Wildlife Service. (2011). Conserving the future: Wildlife refuges and the next generation. U.S. Fish and Wildlife Service. (2013, November). National Wildlife Refuge System Overview [Fact sheet]. Wake, D. B., and Vredenburg, V. T. (2008). Are we in the midst of the sixth mass extinction? A view from the world of amphibians. Proceedings of the National Sciences of the United States of America, 105, (Supplement 1), 11466-11473. Wells, N. M., and Lekies, K. S. (2006). Nature and the life course: Pathways from childhood nature experiences to adult environmentalism. Children, Youth, and Environments 16(1), 1-24. Young, I. M. (1990). Justice and the politics of difference. Princeton, NJ: Princeton University Press. Zaradic, P. A., Pergams, O. R. W., and Kareiva, P. (2009). The impact of nature experience on willingness to support conservation. PLoS ONE 4(10), e7367. Zong, J. and Batalova, J. (2015). Limited English Proficient population of the United States [Spotlight]. Migration Information Source.